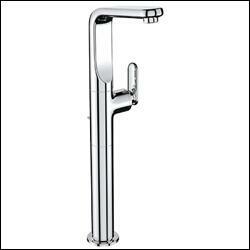 Veris Deck Mount Vessel Faucet. Solid Brass Construction. GROHE SilkMove Ceramic Cartridges. Metal Lever Handle. 17-7/8'' Tall. 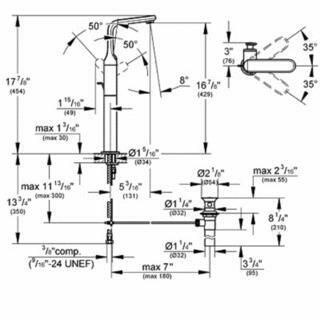 Drain Assembly Included. Stainless Steel Braided Flexible Supplies. Quick Installation System.